Beech-Nut Baby Food has been committed to their quest of providing the cleanest baby food to moms and babies they can make. 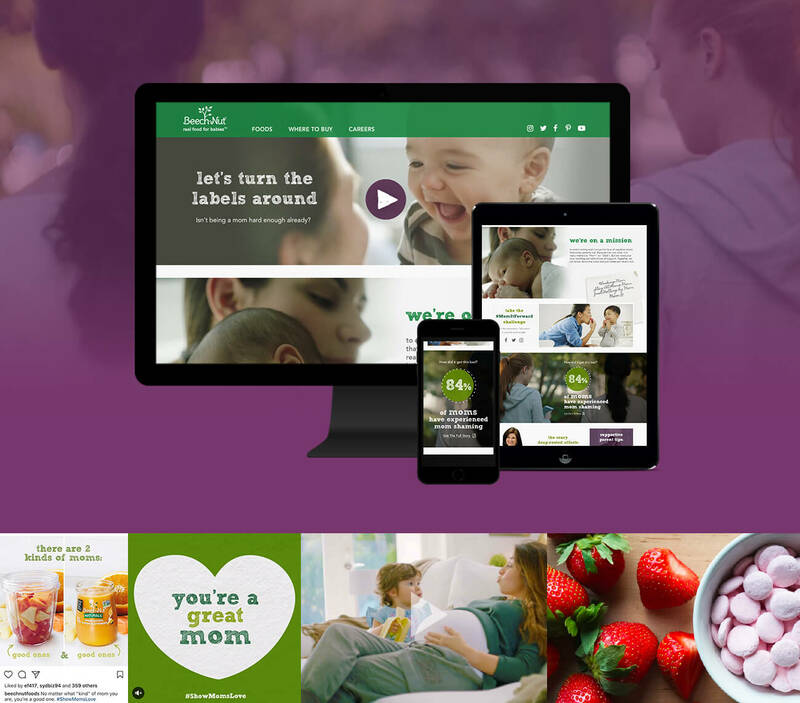 Their mission has been to make Mom’s life easier by providing baby food that is closest to the quality they would make for their own children. But their support of Mom’s doesn’t stop there. Scrum50 knew that millennial moms these days are faced with a sea of doubt, judgments and confusion. It was time for a brand to help cut-through the noise and help them see what’s real. The “Turn the Labels Around” campaign was born out of the desire to first challenge moms to turn the labels around in the aisle and find that our products have just veggies and fruits and nothing else. And had dual impact in taking on the labels that moms are barraged with every day; a mission to support moms and stop mom-shaming. What was so Agile about it? The campaign was developed on-the-fly as it was rolled out. The TV campaign was developed first and the social anthem video and social activation started to roll out as the campaign gained momentum. This allowed us to proactively shape the campaign to real-time events.